Oscar Blandi is my hero! I have been using the brand for about a year now and find it to be worth every penny. The Pronto Dry Shampoo is great for inbetween washings, cleanses with traditional shampoo/water and is made with natural ingredients. I use this product on a regular basis and the tiny bottle lasts me a good 6 months. The Pronto Colore Root Touch-Up & Highlighting Pen does wonders to my over grown roots. Right around week 5 I feel like I go to bed and wake up the next morning with horrific roots staring me in the face. "How did this serious root growth happen over night? Oh crap, my appointment isn't for another 2 weeks!" Well, I take my handy dandy root touch up pen in light golden blonde and brush my roots at my part. Roots be gone! I haven't tried it but I really want to! I've heard such great things about the dry shampoo. The root touch up sounds good too! Thanks! Ooooh I will have to try the dry shampoo. 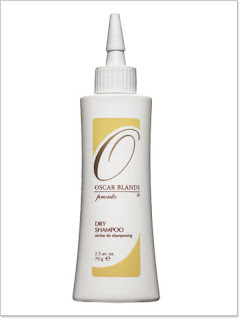 I purchased the Ojon dry shampoo sometime last year and the spray nozzle got clogged after I used it one time! 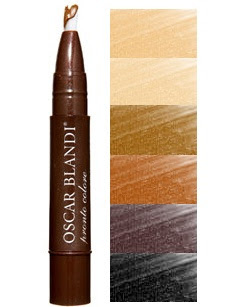 So annoying... maybe I'll have better luck with the Oscar Blandi! Were do you find the root touch up?? I feel the exact same way, one minute I'm fine, next I look homeless!